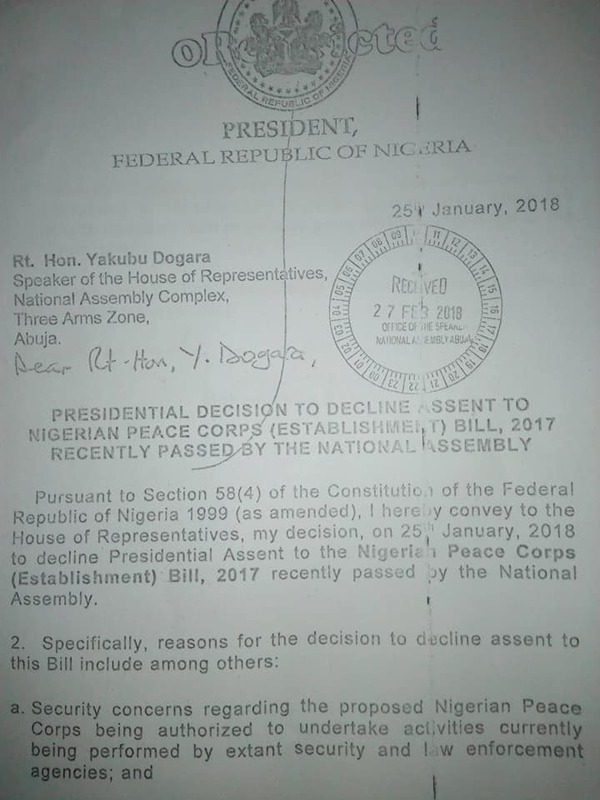 The Newsmen has obtained the full text of the letter written by President Muhammadu Buhari to the House of Representatives, rejecting the bill for the establishment of Peace Corps of Nigeria. 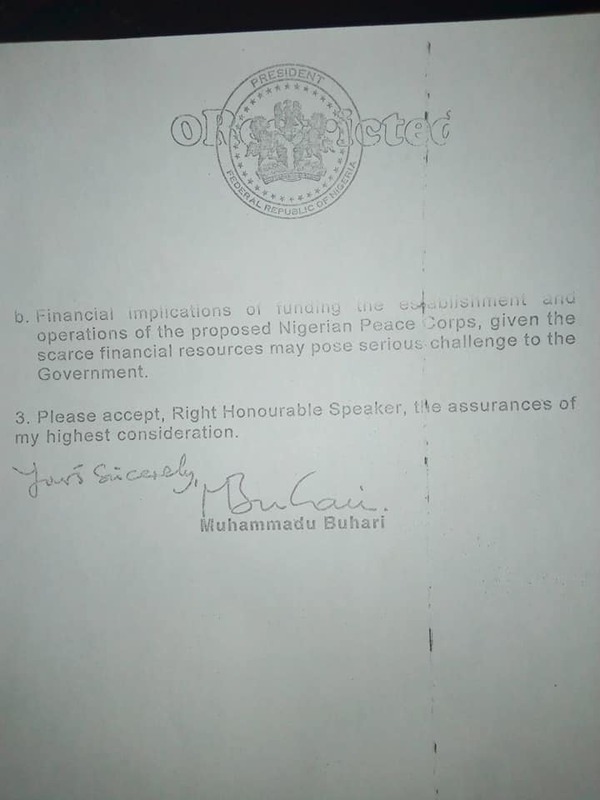 President Muhammadu Buhari had on Tuesday written the Green Chamber, stating his reason for rejecting the bill. Meanwhile, the Commandant of Peace Corps of Nigeria, Dickson Akoh, said the rejection of the Peace Corps bill shows there is conspiracy against the Nigerian youth. I pity all the youths that are involved in the peace corps thing oooo, 40k, 5k, 10k and so on, all gone down the drain!